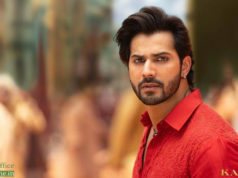 After completing the opening week on a good note, last Friday released two movies Badla and Captain Marvel are heading steadily in the second week at box office across India. In the opening week due to clash with bigger one, Amitabh-Taapsee starrer opened to a decent note than expected but picked up very well over the weekend because of positive response. Directed by Sujoy Ghosh, Badla impressed everyone with it’s delightful story and excellent performance of all actors. Due to positive word of mouth, this comedy drama successfully managed to remain steady throughout the opening week and did the business of 38 crores. 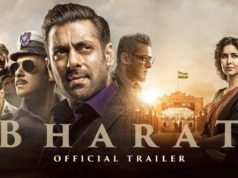 Then in the second weekend, once again it showed good performance and registered the business of 18.97 crores that included 4.05 crore of Friday, 6.70 crores of Saturday and 8.22 crores of Sunday. Now it is running in normal working days and minted the amount of 2.80 crore at the Indian box office. On the next day i.e. 2nd Tuesday, Badla recorded almost similar response and raked the business of 2.60 crore. With this, it’s 12 days total collection has become 62.37 crores at domestic box office. The film is positively expected to collect over 67 crores by this week. On the other hand, Captain has received positive reviews from most of the critics as well as audience and garnered the business of 56.41 crores in the opening week, that included 40.71 crores of weekend and 15.70 crores of weekdays. In the second week, Marvel Studios’s presentation did the business of 14.35 crores with 3.15 crore of Friday, 5.30 crores of Saturday and 5.90 crores of Sunday. 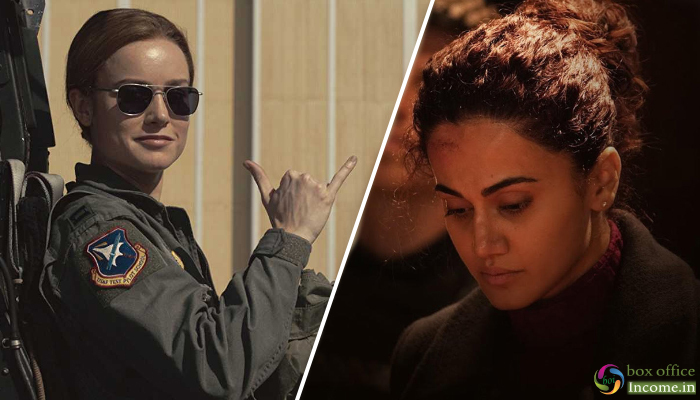 Now in weekdays, Captain Marvel witnessed usual drop and bagged the amount of 2.35 crore on Monday and 2.15 crore on Tuesday. With this, it has raised it’s 12 days total collection to 75.26 crores nett from Indian screens. Set in 1995, the story follows Danvers as she becomes Captain Marvel after Earth is caught in the center of a galactic conflict between two alien worlds.